With today’s just-in-time transport solutions, trucking schools are located at convenient locations throughout each state and consist of a mixture of state-run offices and accredited third-party providers. Some have facilities for classroom learning in addition to knowledge and practical skills testing areas - still others have trucks to rent for testing candidates as well as other CDL processing options. BestTruckingSchools.com’s complete listing of schools also provides a thorough review of each state’s licensing requirements. Overseen by the Federal Motor Carrier Safety Administration (FMCSA) at the national level, each state has a similar framework of Class A, B, and C licenses, vehicles and accompanying regulations, though some states exceed these standards to include other classes of professional drivers like agriculture. The FMCSA is also responsible for instituting the states’ endorsement system, which provides extra training to truckers who wish to advance professionally and operate rigs that have special safety conditions to adhere to, like double or triple trailers, hazardous materials, or specializing in passenger group transport. Learn more about considering CDL school. From Alaska’s Aleutian mountain range to the Gulf Coast, across North America’s fierce interior to the maritime states, truck drivers have seen it all. Portability, transferable skills and the allure of the open road are all reasons why pursuing your commercial driver’s license is a great way to open professional pathways! Expanding in numbers nationwide, trucking can be a full- or part-time job and is open to both men and women. Veterans, new graduates, and those who are semi-retired use short and long-haul routes as a way to earn money and see the country, all while getting paid to travel. Career options exist in all 50 states and Canada, and range from owning your rig in order to be self-employed, to signing on with regional carriers or international freight and logistics companies. Truckers who opt for formal education graduate with foundational knowledge of logistics, an understanding and promotion of security and transportation systems, and a basis in great customer service. Generally, those who choose a career as a commercial truck driver have strong English and mechanical skills that are put to use throughout the workday. Learn more about how to become a truck driver. Honest and safe, commercial truck drivers are consummate task managers - frequently multitasking various equipment operations while managing their time and using their critical thinking skills to weigh timeframes, road conditions and other motorists. Truckers are not without physical aptitude as well - with good vision and depth perception, truckers have to be coordinated across all their limbs, balance with visual acuity for up close tasks like reading the dashboard, and an ability to both concentrate for long periods of time while maintaining their split-second reaction time. BestTruckingSchools.com has two great ways for you to find truck driving schools in your area. First, use the map below to find trucking schools in your state. For customized results based on your specific location, try searching by zip code with our search widget at the top of the page. 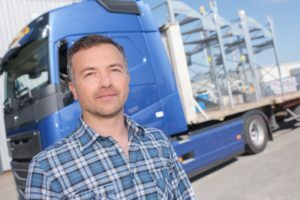 BestTruckingSchools.com is a premier online resource for people who want to start their career in truck driving. With our list of CDL training providers, CDL requirements for all 50 states and trucking resources written by current and former truck drivers, we have gathered all the information you may need to make career decisions in one spot on the web. With the ability to request information directly from schools, searching and contacting schools becomes easy for you. With the value of international trade on the rise, as well as increasing technological advancement, the industry is primed for stable growth and development. According to the U.S. Bureau of Labor Statistics, CDL truck driving is one of the largest occupations in the U.S. with over 1,797,700 jobs nationwide according to the BLS’ most recent statistics set. Job outlook for Class A, B and C truck drivers is trending upward throughout the nation, with an expected average growth of 5 percent over the next decade - a number that represents approximately 99,000 new jobs in interstate, intrastate and people transport as the economy grows. Learn more and truck driver salaries as well.